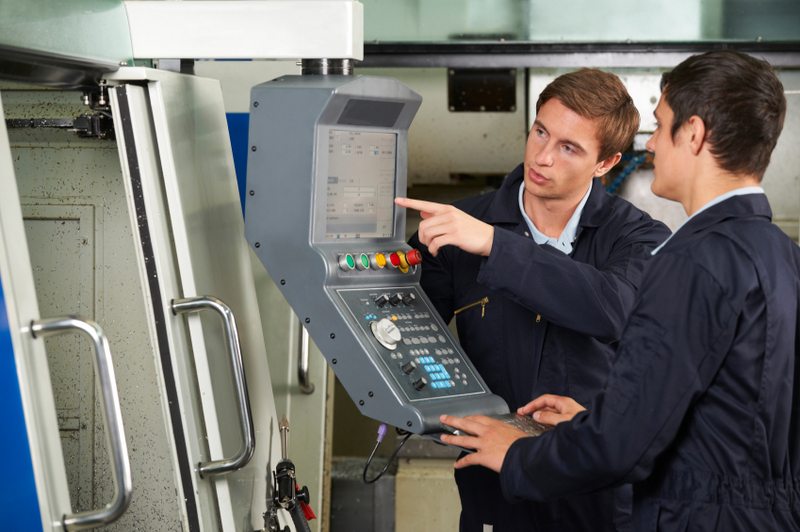 Hiring an apprentice can be more daunting that hiring an experienced worker. Get it wrong and you’ve the management costs and hassle to correct your mistake. But get it right and you’ve engaged a future high performer. But on what basis do you select your apprentice? It’s a classic prediction problem. But it’s made more difficult since, focusing on younger people, they generally have no previous employment history to go on. So what do you consider when selecting a younger apprentice? Firstly, the normal personal characteristics apply. The candidate’s personality should fit the apprenticeship requirements – and should fit the organisation, its values and the characteristics of likely jobs that the apprentice will eventually do. Likewise their general mental ability (GMA) and associated verbal, numeric and abstract reasoning should fit the likely jobs – but don’t forget that the apprentice is learning. Learning is easier for those with higher GMA and arguably intelligence – as the root of social and emotional function - is the key decision criterion. Secondly, work sample tests must be more carefully developed. The applicant is not being considered for a role. They aren’t expected to be able to do much of their future job – if indeed that job exists today. So work sample tests must evaluate core skills like problem solving, writing, comprehension and use of spreadsheets and drawing tools. But what does the candidate’s decision process – the process that led them to the interview – tell you about their future performance? If you can’t assess his or her past work, can you evaluate their fit with their chosen career? And what does this tell you about their future motivation? To answer, we must look at how a young person makes decisions about their career. In the age range 15-19, a young person is in an exploratory phase. Their personality is maturing – typically personality is at its most formative and will be substantially fixed in their early 20s. Their fluid intelligence – and their abstract reasoning – will be inherited from their parents. But their crystallised intelligence will be growing fervently, and will continue this growth throughout their life. There are two mechanisms that young people use to make decisions about their future career – and hence to which firms they apply. They may run a conscious decision process, researching, evaluating and deciding. Some employers might value this and seek someone who has a calling for a particular occupation. Alternatively the young person relies on chance events to encounter things that inspire them. Some adults might accuse this latter group of vagueness, blowing with the wind and leaving their lives to chance, but that’s the way some young people are. But both approaches (and indeed a mix of the two) are real and encountered by employers. So what should you be looking for from the candidate’s approach to career decision-making? Something like a quarter of all young people make firm, considered decisions and refuse to be nudged or have their minds changed by opportunities. About half adopt a mixed approach – partly planning and partly reacting to events and opportunities. 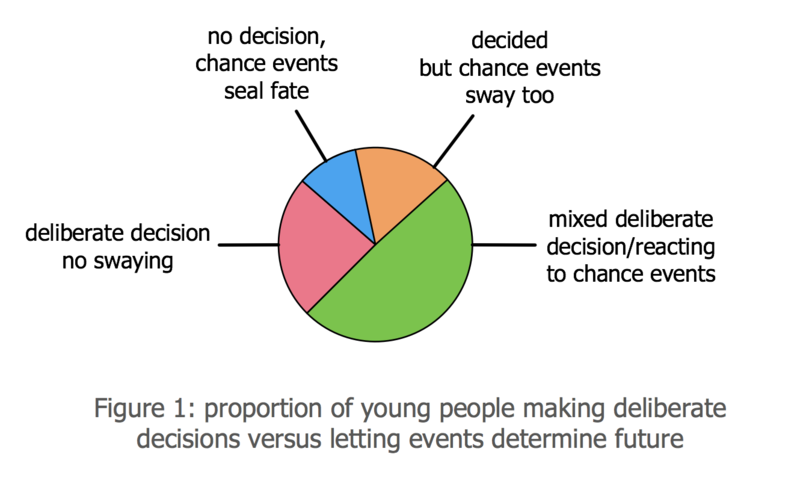 Around 15% make a decision but can be swayed by chance events. And the rest, about 10%, are completely undecided and let chance seal their fate. To determine if it’s better for young people to make deliberate decisions in career planning or to allow chance events to determine their future we need to look at what a hiring manager wants from an apprentice. Hiring managers are trying to predict which applicant will perform in a role some time in the future. They want to know that the young person will, at the end of their apprenticeship, have high intrinsic motivation. Motivation will come from the job the employee does. For intrinsic motivation to assist that role-based motivation it’s important that the young person’s personality, GMA and preferences fit with the characteristics of the job. There must be a high person-environment (P-E) fit. So which decision-making approach (to career choice) predicts high motivation and P-E fit (when in a job)? Recent research suggests the following. Unsurprisingly, those young people who have researched jobs and thought hard about what they want from their future career will typically select career and job such that the P-E fit is maximised. Chance events have no place for this first group. Of the four young-person profiles, members of this group are likely to maximise their fit with the job, their engagement with the work and their self-confidence. Members of this group are a good bet and easily selected for at interview. This group is shown red in Figure 1. The second and third group, like the first, research and make deliberate decisions, but also allow varying degrees of chance events to play. They have less self-confidence and in the future will fit less well with the job, though their eventual work engagement can be as high. This group amounts to around 65% of all young people and is shown as green and orange wedges in Figure 1. The fourth group – young people who don’t plan but let chance events determine their fate – are to be avoided. They will typically exhibit low self-confidence, poorer P-E fit and low work engagement. This group is shown blue in Figure 1. There is one caveat on this latter group – there are a small number of young people who let chance sway and who actually come out OK in the end – though with lower self-confidence. Those who have deliberately analysed careers and made conscious decisions – and hence who are at interview because they want a career in your industry - will likely be high performers. Those who have engaged somewhat in analysis and decision-making but who also embrace chance events and are at your interview because it’s a chance opportunity will yield average performance when finally in a job. And those who let chance events rule – and hence who are at interview with you solely because the opportunity presented itself - will do less well and should not be entertained. The career decisiveness of a young person does therefore predict how well he or she will perform in a job after apprenticeship. Broadly, the more decisive, the better. And the more a young person leaves their apprenticeship choice to chance, the less well they’ll be motivated and the less well they’ll perform. So when selecting young apprentices, select for their career decisiveness.